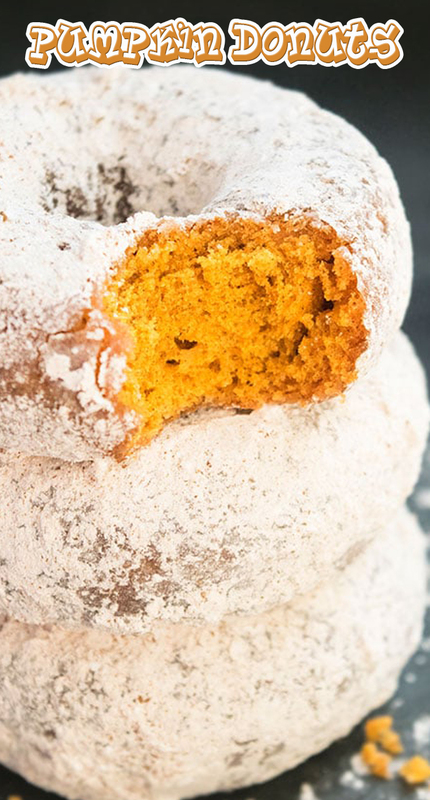 In a mixing bowl, add cake mix, pumpkin puree and pumpkin spice and mix everything together. It will be a thick mixture. Spoon mixture into a donut pan. Bake at 350 degrees for 10 minutes or until donuts are cooked through. Allow the donuts to cool down. While the donuts are cooling down, prepare the sugar topping mixture: Mix the sugar and pumpkin spice together in a mixing bowl. Roll around each donut in the sugar mixture and enjoy!